Bhakti movement in Rajasthan: Bhakti movement in Medieval India is responsible for the many rites and rituals associated with the worship of God by Hindus, Muslims and Sikhs of Indian subcontinent. Bhakti movement originated in ancient Tamil Nadu in 12th Century. Nayanmars and Alvars played major role in Bhakti movement. It began to spread to the north during the late medieval ages when north India was under Islamic rule. The main period of Bhakti Movement in Rajasthan is early 16th Century to late 18th Century. The Islamic rulers were pressing public to convert religion from Hindu to Islam. The Bhakti movement was counter to the prevalent caste ideology which was dividing Hinduism. So, the Bhakti movement has its own importance to save Hinduism. The movement was spontaneous and the mystics had their own versions of devotional expression which play a major role in Rajasthan. 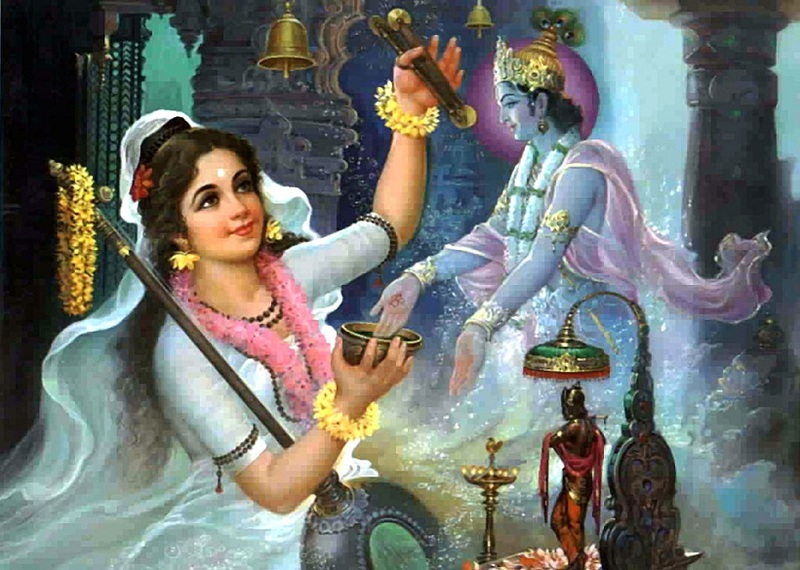 One chief characteristic of the Bhakti movement can be mentioned as belief in one God. A devotee could worship God by love and devotion. The second characteristic of the Bhakti movement was that there was no need to worship idols or to perform elaborate rituals for seeking his grace. The third feature on which the Bhakti saints laid stress was the equality of all castes. There was no distinction of high or low as far as the devotion to God was concerned. The fourth feature was the emphasis, which these saints laid on Hindu-Muslim unity. According to these saints all men irrespective of their religion are equal in the eyes of God. The saints preached in the language of the common people like Rajasthani, Khadi and other local language. They did not use Sanskrit, which was the language of the cultured few. These saints laid stress on purity of heart and practice of virtues like truth, honesty, kindness, and charity. Some saints regarded God as formless or Nirguna while others consider him as having different forms or Saguna. Most of Bhakti Movement saint in Rajasthan are of Saguna Bhakta.